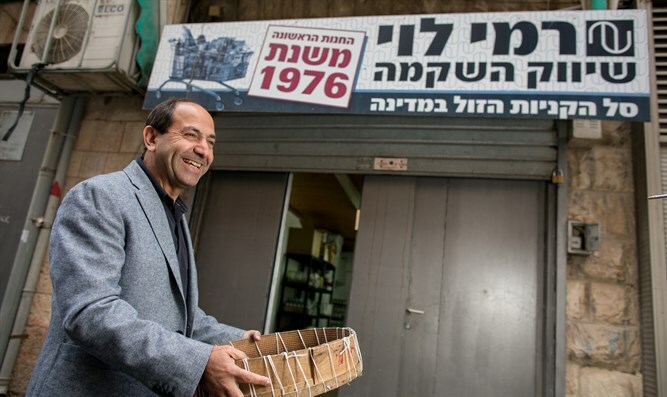 Founder of Israeli supermarket chain questioned in investigation tied to Jerusalem Deputy Mayor. Police questioned businessman and supermarket tycoon Rami Levy under caution earlier this week as part of the investigation into the corruption scandal in the Jerusalem municipality, authorities revealed Thursday. The Rami Levi supermarket chain issued a statement saying: "The said investigation is not related in any way to the company or the activities or functions of Mr. Rami Levy in the company." Meanwhile, the Rishon LeZion Magistrate's Court today extended the detention of the main suspect in the affair, Jerusalem Deputy Mayor Meir Turgeman. The arrest of his son Itzik and of another suspect was also extended by five days. Meir Turgeman is suspected of bribery and money laundering and his son is suspected of bribery and tax offenses.